My hesitance was reversed when I learned that Care Net provided training for volunteers. I realized that if Care Net was willing to take a chance on me, I would be willing to serve. You see, my serving through Care Net has brought me full circle. I can look back now and see how God has transformed me throughout my walk with Him. How God used my past experiences to shape how I now serve Him. When I was 17, with no gospel foundation, I took a friend for a pregnancy test. She was not in a stable relationship, she was young, and she was afraid. But after she tested positive, I, in all my youthful wisdom, I “counseled” my friend to have an abortion. By God’s grace, she absolutely could not. And now, 37 years later, I’ve witnessed my friend’s devotion as a single parent and I am blessed to know her beautiful daughter, who is happily married with 3 young daughters of her own. I stand in awe of God’s plan for my friend and for me, knowing this could have been a very different story. "My fiancé and I had our first baby; I was excited and nervous because we had little income and I didn’t have a stable job. She had heard about Care Net’s services and we went to check it out. We were glad to hear about the Earn While You Learn program, where you can spend as little as 30 minutes to an hour or 2, learning about pregnancy, birthing, and parenting, while earning money to buy (very inexpensive) diapers, clothes, and baby supplies. My fiancé “ran away”, leaving me with our 2 month old son. I love my son, and want the best for him, and so I continue to take classes and have fellowship with Care Net. They have helped me so much to care for and raise my son." I have now volunteered at Care Net for 5 years. I have witnessed many couples with happy stories; they are glad to be pregnant and receive our services. 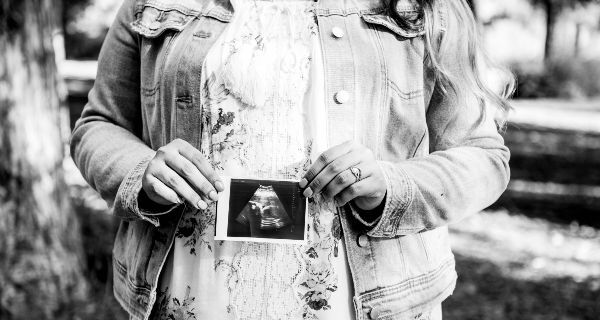 I have also witnessed not-so-happy stories…women of all ages experiencing an unplanned pregnancy, not sure of their future, but through God’s grace, relentlessly pursue having a child and, either being a single parent, or releasing them for adoption, they choose LIFE as God intended. My story is full circle. From a naïve 17-year-old, full of false wisdom, to a dedicated servant of the Lord, assisting young women and men to make Godly decisions in the place I was least prepared to. How has God used YOU where you least expected it? Click here for more information about Care Net and volunteer opportunities or contact JoAnn.